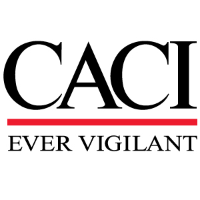 CACI is seeking experienced Financial Analysts to support a Federal client in Washington, DC. We are looking for candidates with Momentum Financials experience, strong analytical skills, and who can work effectively in a team and independently. Momentum Financials functionality spans the Budget Execution, Purchasing, Billing and Collections, and Payment modules. The ideal candidates will have a solid understanding of the software development life-cycle (SDLC), be able to develop and execute system test plans, analyze medium to complex software issues, and effectively communicate with all levels of CACI management and the client. If you thrive in a collaborative and dynamic work environment, we invite you to consider this opportunity as your next career move. Requires Bachelor's degree (Business, Information Systems, or related field) or equivalent and 5 years of related experience. Requires a solid understanding of the software development life cycle (SDLC). Requires at least 2 years of Momentum Financials experience. Must be able to work full-time at the client site in Washington, DC. Requires an active DoD Top Secret clearance with ability to obtain additional program clearances.